equipment has been developed in INDIA. We are a manufacturer of world class Ceramic Fiber products with Indigenous Technology. Our manufacturing unit with advanced facilities & equipments has been developed in INDIA. 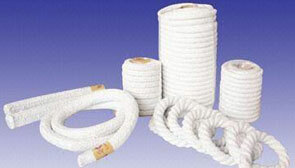 Our Ceramic Fibers are Energy-efficient and checked to ensure a "No-defect" product reaching to our customers. DGN Faser Pvt. Ltd. is promoted by experienced technocrats who have successfully implemented projects of manufacturing Kit Kat Porcelain and High Voltage Insulators. DGN Faser Pvt. Ltd.’s production facility is well equipped to manufacture excellent quality ceramic fiber products using latest engineering designed, with Indigenous equipments and having production capacity of 5000 MT per annum to meet every market demand in terms of quality and volume. The company has an extremely rigid and rigorous quality assurance system backed by an advanced laboratory set-up that facilitates constant checking and conformity to international quality standards. DGN Faser Pvt. Ltd. has a very simple business philosophy- provide excellence in quality of products and services but with complete personal touch and attention for the company, customers are not just buyers but long term partner to work with. In this industrial age, energy conservation is one of the most challenging tasks in our energy-scarce and energy-conscious world at large. Our mission is to play an active role in helping industry utilize energy effectively and efficiently and thereby contributing positively towards checking “Global Warming” issues. With the help of our technical know-how to supply effective and creative solutions to every challenge; we will always strive to provide best quality products and services with complete personal touch and attention. To become admirable and responsible Integrated Company with international footprint, delivering sustainable value to customer. Safety - Safety is the highest priority over which no business objective. Ethics - Attain all the standards of Ethics, through Integrity, harmony and mutual Trust. Mr. Nanji Patel, the Executive Director of the Company, has four decades of experience in the construction sector. He has been associated with the Company since its inception as key promoter. He is Master of Science in Construction Management from stevens institute of technology, New jersey, USA. He is responsible for the overall working of the Company and is instrumental in making strategic decisions for the Company. As Executive Engineer position he has handled functions like Quality Control, Project Management & Finance management. His special assignment with Govt of Gujarat in Kutch, Bhuj & Jamanagar has enabled him to understand financial aspects of business and to effectively handle balance sheet which is key for building any successful enterprise. Mr.Hitesh Patel is the co-founder, key promoter as well as whole time Director of DGN FaserPvt Ltd. Hitesh is bachelor in Electronics & Communication Engineering. He is backbone by rich experience of His father who is into ceramics business since last 35 of years. He has effectively handled technical as well as business management functions with progressive responsibility. He was associated into business since 2007 and he has enabled him to understand financial aspects of business and to effectively handle marketing which is key for building any successful enterprise. 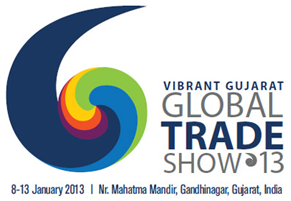 He is humble by nature and always thinking to develop business to new height. Being Engineer by qualification and having handled versatile business management & finance functions over a 5 years in technologically advanced and competitive environment, Hitesh will be instrumental in creating a special place for DGN FaserPvt Ltd in Industry by offering most innovative and affordable solutions to Indian customers as well abroad by way of collaboration with reputed companies and by utilizing Government’s policy initiatives for providing support to budding entrepreneurs. Also Hitesh is taking care of DGN’s corporate social initiatives. The Technical Director Mr. Bharat Chauhan is a Mechanical Engineer. He is a Multi skill Professional Man, Thoroughly conversant with the Engineering aspects. He holds Rich Experience over 35 years which includes 25 years inManufacturing of Ceramic Fiber and its allied Products. He had worked withwell-known companies Like Unifrex India Ltd. (Formally known as Orient Cerwool Ltd.) for 17 years, Lloyd Insulations India Ltd. For 3 years, And Simond Fiber Tech Ltd. For 3 years. 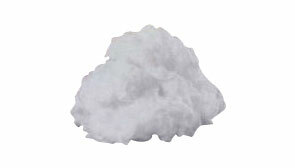 These are the leading manufacturers of Ceramic Fiber in India. In addition to that he also familiar with the Manufacturing of Polyester Staple Fiber and Precession Auto parts with Compliance of ISO-9000 Quality systems. Having wide range of experience of Industries, Technical competency, and found taking challenging,DGN FASER PVT.LTD.issetting up a New Plant in his leadership forManufacturing of Ceramic Fiber and its allied Products at Ahmedabad- Surendranager State highway, Near Village Dedadara ,TalukaWadhwancity, DistSurendranager. We at DGN Faser Pvt. Ltd. are looking at accreditation of ISO 14001 Environmental Quality System Certification. We are committed to use safest alternative to all potentially hazardous materials, so that we can minimize its exposure to our employees and customers. We consciously & continuously check to reduce environmental impact of waste product by recycling it, where-ever possible and strive to make our campus “Zero-affluent”. DGN Faser Pvt. Ltd. facilities are eco-friendly, environmentally safe. We at DGN Faser Pvt. Ltd. are manufacturing products which meet ASTM standards, specification and criteria in every aspect. We strongly believe that our company’s success depends upon consistent supply of high quality products and services to its esteemed customers. We are working towards ISO 9001: 2000 Quality System Certification, thus our quality systems are established to meet its requirements. The company procures raw materials from only recognized & quality approved vendors. We firmly believe that a good product can give excellent performance only if it is supported by equally strong service backup. To ensure this, the company has developed a team of highly skilled and committed service engineers which can provide 24x7 high quality service and immediate personalized response for any technical assistance. Insulating fill for complex spaces and areas where access is difficult. Our ceramic fiber board in market with the brand name “DSlat”, Board and Shape are made with Special Process from “DMat” Fiber. 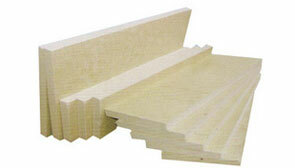 “DSlat” is in a solid shape as per customer requirements. Shape having various forms of outline to fulfill special requirements of customers. STANDARD WIDTH: 500mm and 600mm. 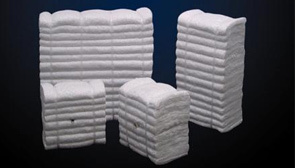 “DMat” high temperature ceramic fiber blankets are made from high quality spun ceramic fiber, double sides mechanically needling makes it high strength and surface integrity. Ceramic fiber blanket have a good character of superior insulating performance, light weight, flexibility and chemical resistance, low thermal conductivity, low heat storage. Fiber blankets are ideally suited to individual customer applications and are available in a wide range of thicknesses and densities. The maximum continuous use temperature depends on the application. High temperature pipe and casting mold insulation. Duct and turbine insulation- Forging furnaces linings- High-temperature seals and gasket Furnace door seals -Glass furnace crown insulation -Heat processing equipments. TYPE: RTZ Grade. Max. Serving Temp.Up to 1260C. HTZ Grade. Max. Serving Temp.Up to 1400C. Module is made from”DMat“It is folding and compressed as per the required sizes and densities. Furnace door seals -Glass furnace crown insulation -Heat processing equipments Car bottom furnace lining insulation -Fire protective, used in thermal insulation above 1000C. Grades : In RT & RTZ Grade. DIAMETER : 6 mm to 50 mm. And in any length as per request. PACKINGS : AS PER CUSTOMER REQUIREMENTS. Dpap is our brand identity for fibre paper. 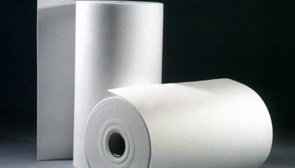 Ceramic fiber paper from Ceramaterials consists primarily of high purity alumino-silicate fiber and is made through a fiber washing process. This process controls the content of unfiberized shots to a very minimal level within the paper. Our ceramic fiber paper features light weight, structure uniformity and low thermal conductivity, which serve as a perfect solution for high temperature insulation, chemical corrosion resistance, and thermal shock resistance. 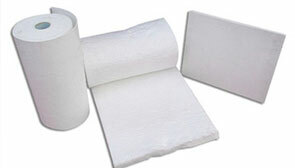 This ceramic fiber paper can be used in various types of refractory and sealing applications and is available in 3 grades with a variety of thicknesses, widths, and temperature ratings. STANDARD THICKNESSES: 1/32", 1/16", 1/8", 1/4"
STANDARD PACKAGING: Approximately 25 lb / roll(special packaging is available per requests). DGN FASER offers the right candidate an endless array of opportunities for career achievement and growth. As a member of our team, you’ll have the opportunity to see your ideas come to life and make a significant impact on our business. © Copyright 2012 | DGN Faser- Powered by Coronation Solutions Pvt.Ltd.